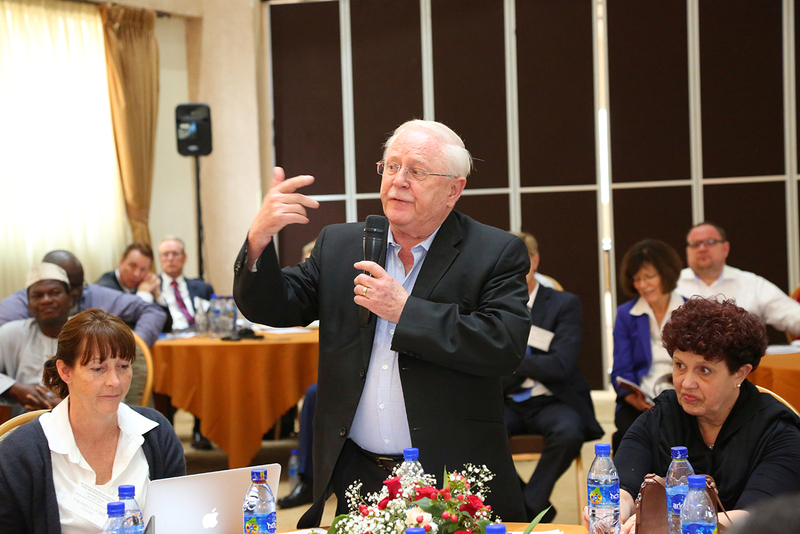 The College of Law and Good Governance Studies of Addis Ababa University hosted the 4th Annual African Law and Religion Conference at Capital Hotel in Addis Ababa from May 22-24, 2016. Scholars, legal professionals and religious leaders from various countries participated in this conference. Themed “Religious Pluralism, Heritage and Social Development in Africa,” the conference focused on law and religion in Africa, culture, legal and historical traditions, and the way these shape religious identities in Africa today. He added that addressing this challenge effectively requires the promotion of mutual understanding, respect, cooperation among governmental bodies, various religious communities, and the section of society that professes to be non-religious. As the issue of religion is of global concern, the conference is believed to foster round table dialogue in order to draw guidelines that promote solidarity, manage religious pluralism and freedom. Over 60 scholars attended and presented their papers on matters pertaining to law and religion, culture, religious pluralism and perception of societies, heritages, human rights and solidarity. As the participants are from various countries and adhere to different religions, they shared the trends and perspectives of their own countries and religions during the discussion session. Solomon Fikre (PhD. ), Dean of College of Law and Good Governance Studies of the AAU, noted that the lack of proper legal framework on religion and the use of the law to restrict religious freedom and suppress religious pluralism are characteristic features of the continent. He further explained that these problems are widely believed to be the major causes leading to pervasive resentment and violent conflict in Africa, which in turn often entail social, political, and economic underdevelopment. “Using the law to provide for greater recognition of religious freedom and better accommodation of religious pluralism is generally considered as an effective tool to unlock the continent’s immense potential,” he added. Akhawayn University of Morocco will organize the African Law and Religion Conference of 2017.